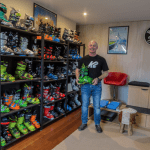 That’s right… Mountainwatch want to take over take you to Japan! A first for us, we’re excited to announce a tailor-made tour to the powder paradise that we’ve put together and will be offering to our faithful readers for the coming 2018/19 season. 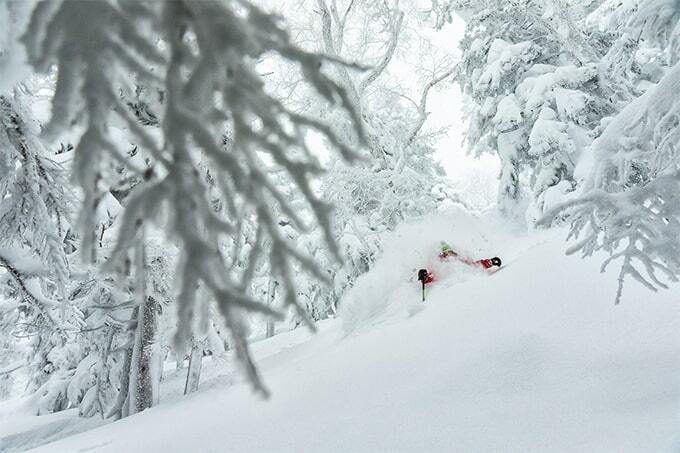 There’s more reasons than we’d care to count why Japan should be on your ski or board hit list; Over half the island is white each winter, over 80% of it is rugged mountainous terrain, and over 500 resorts are scattered liberally throughout the island. However, this abundance of good terrain and incredibly good snow can also present some challenges when it comes to actually deciding where to go and spend your Yen. Do you join many others on the North Island of Hokkaido, do you explore the heights of Hakuba on Honshu, or investigate some lesser-known locales, or do you try and do it all? Is this even possible? To take some of the pressure out of planning a trip to Japan, whether it’s your first time to the somewhat mis-appropriately named (at least in Winter) ‘land of the rising sun,’ or you’re a seasoned veteran there, the Mountainwatch Japan Tour is for you! We’ve split the trip up into parts, just like a good Bento Box, you can enjoy as much or as little as you like. Totalling three weeks, each week takes you to a different region, and you’re at liberty to join us for the 1stweek, come for two weeks, or if you can get the time off work, and we strongly recommend it, treat yourself to the whole three, and see and ski more of Japan than you’d ever dreamed. Like any Bento Box, you’re likely to start with the ingredient you can most easily identify. In our case: Hakuba. 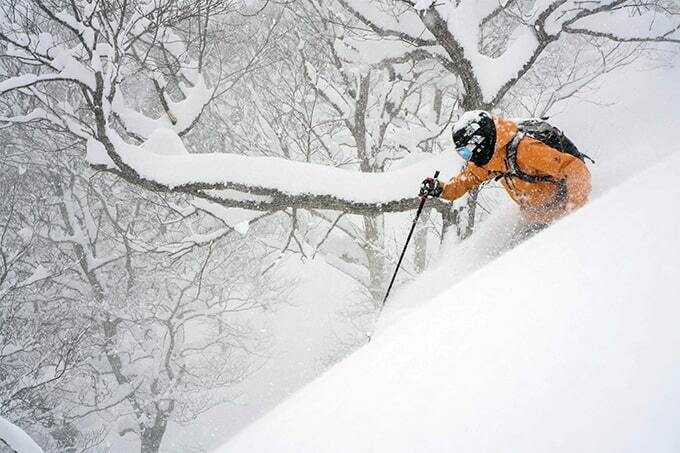 Hakuba is now a staple when it comes to skiing in Japan. Our rice if you will. The Hakuba Valley is located deep within the Japanese Alps, inside the Nagano prefecture. The valley includes 10 distinct ski resorts, offering over 200 runs, 139 lifts, towering European style peaks and Japan’s famed powder – some 11m are on tap each season. – 7 nights accommodation at Meteor Log House. 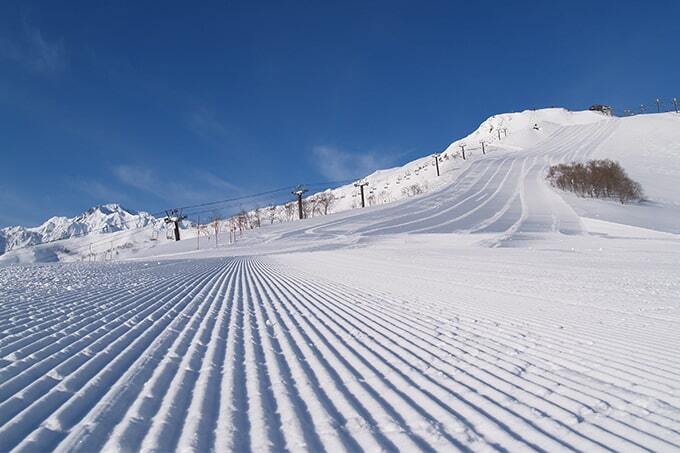 – 5 day Hakuba all mountain lift pass – otherwise known as the Hakuba Valley ticket, this pass gives you access to 9 of Hakuba’s top resorts: Hakuba Goryu Snow Resort, Hakuba47 Winter Sports Park, Hakuba Happo-one Snow Resort, Hakuba Iwatake Snow Field, Tsugaike Kogen Snow Resort, Hakuba Norikura Onsen Snow Resort, Hakuba Cortina Snow Resort, Kashimayari Snow Resort and Jiigatake Snow Resort. 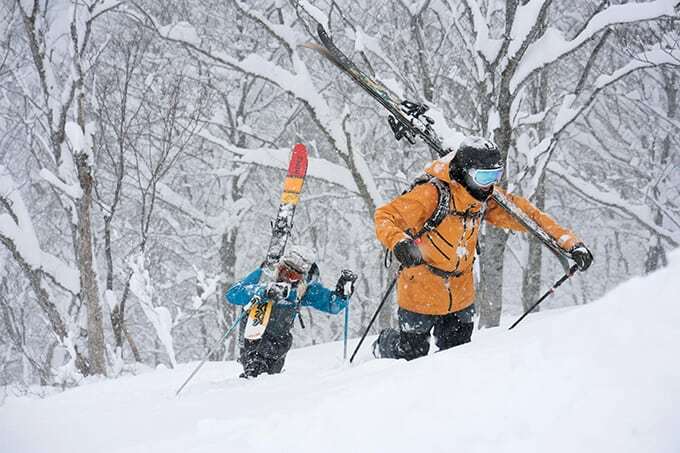 – 3 x guided ski days at Iwataka, Happo One and Hakuba 47 – over these three days you’ll be shown around the mountain, taken through all the best tree runs and shown were the powder stays longest. (N.b. this is resort guiding NOT backcountry guiding). – 1 x group Japanese banquet dinner at Sharaku restaurant. – Entertaining nightly activities including a pub crawl, trivia and Karaoke. So you’ve eaten the rice, but are after something a little more adventurous. Introducing Myoko, where you’ll spend the second week of the trip. We’ll sort your transfers from Hakuba to Myoko, which take just shy of 2 hours since the resort is situated in the Niigata Prefecture, which Border’s Hakuba’s Nagano prefecture. 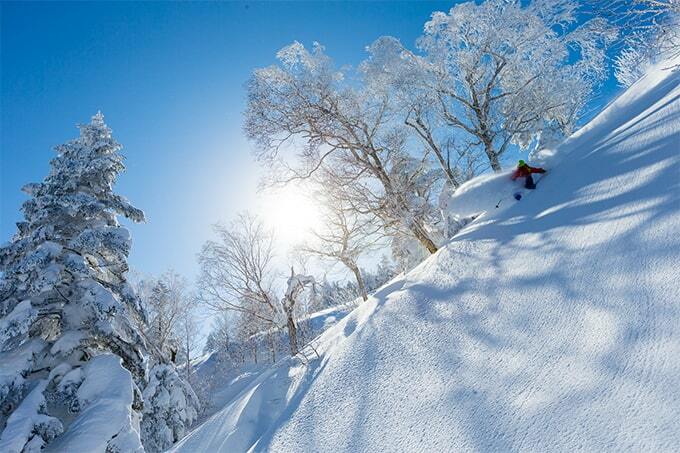 Myoko comprises 4 main ski resorts interconnected and available on a multi-resort ski pass. 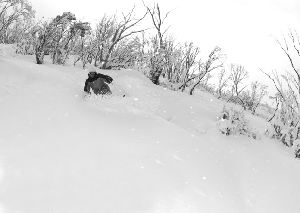 The area is known to be one of Japan’s snowiest, best suited to off-piste powder lovers (so all of us?). 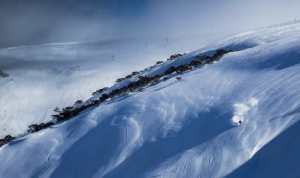 – 3 days lift pass– Includes the following resorts: Akakura Kanko, Akakura Onsen, Myoko Suginohara and Ikenotaira Ski resorts. – Group dinner at a local Japanese restaurant – don’t worry it won’t be at Seicomart or Lawson. 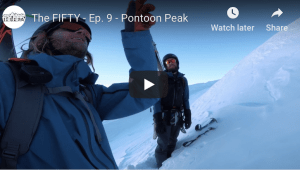 At this point, I can confidently say you will have skied the deepest and driest powder of your life. You’re welcome. So where to next? Well, the plan is to take you 1.5hrs North West from Myoko towards the coast to Shiga Kogen. 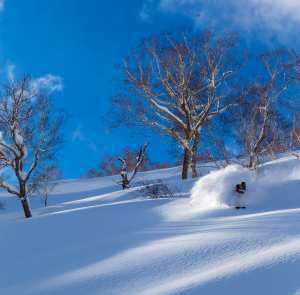 Here you’ll be further spoilt for choice, Shiga Kogen boasts an extensive network of 21 interconnected ski resorts strung out along the Shiga Plateau, making it one of Japan’s largest ski areas. It’ll also offer the most authentic Japanese experience of the resorts thus far. – Snow Monkey tour – Not far from Shiga Kogen on the western edges of the National Park lies the Jigokudani Wild Monkey Park. Here you’ll find more than 200 wild long-tailed monkeys living and bathing in the natural hot springs. Conclusion: Japan’s never looked so easy right? Join us, bring your friends, make some new ones and ski more powder than you ever thought existed.